I finished a few new bags in the last couple of weeks. 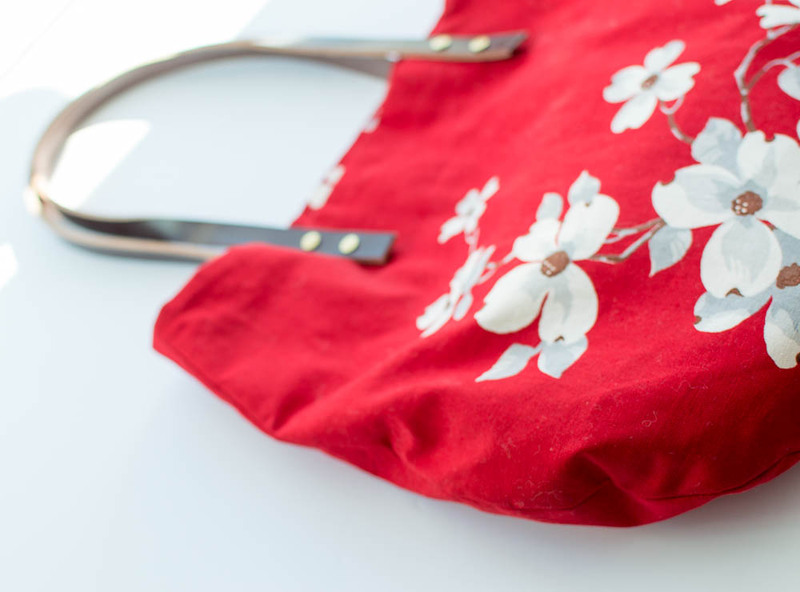 Here is how I added the leather handles to my Lotta Jansdotter Elsa Tote. To be honest ~ adding these screwed leather straps was a pain. 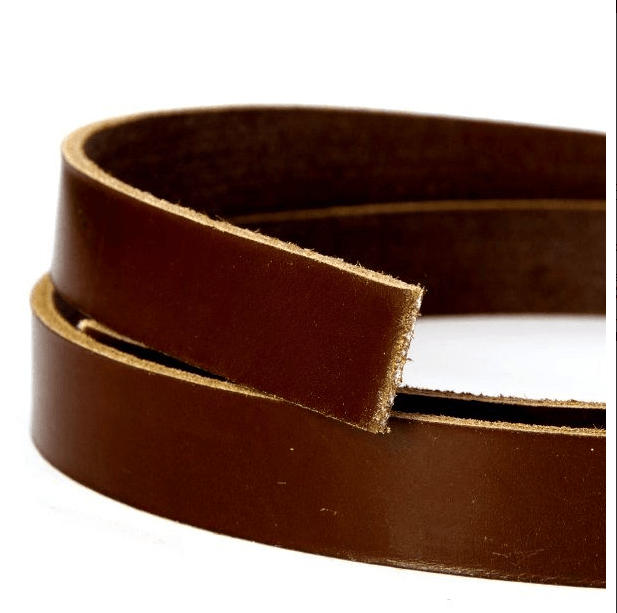 I bought these 3mm wide, 127cm saddlery leather straps at Artisan Leather. They were good quality, the perfect length and look good but cost £7 each plus shipping. I also bought this pack of 10 long screws (sounds more fun than it was) for £8.95. There are eight of them on the tote bag, so no skimping on quantity. That comes to about £25 just for the hardware. On top of that, there’s the pain of punching the holes in the leather straps and then getting the screws through the bag and the straps. I spent another £8 on a hole punch, I already owned an awl and bead reamer. I needed the bead reamer to file away the leather in order to get the screws to fit through the holes. I found that my hands were not big or strong enough to punch the leather. I had my husband do it. I also asked my local tailor, where they’d do them all for £5 which might be better value than buying the tool etc. They were big, guys with strong hands too. So the price of this bag quickly added up, even though the fabric was vintage, from my stash. I’ve been thinking about alternatives and wanted to share some ideas with you. Obviously, you could use fabric or woven straps. 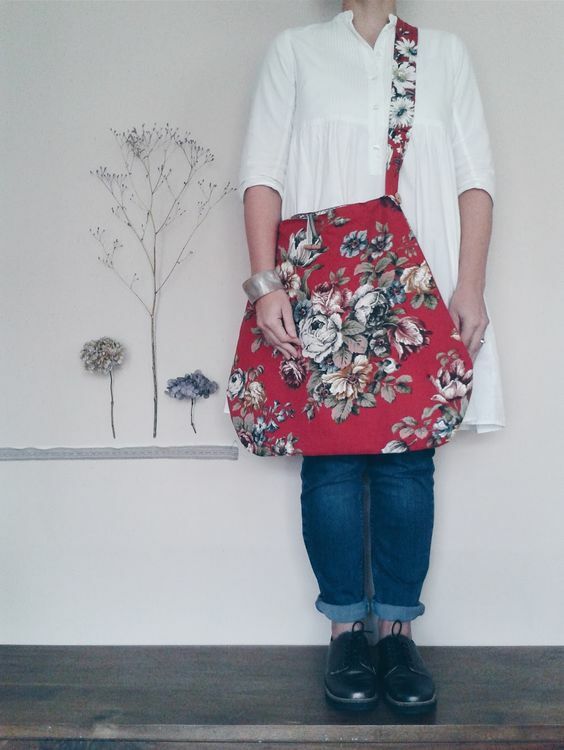 The Linen Garden makes beautiful vintage fabric bags and seems to use mostly fabric straps. (Check her out on Pinterest too, if this sort of thing interests you, she has beautiful boards). But, if we just consider leather, what about using second hand-bag straps or belts? 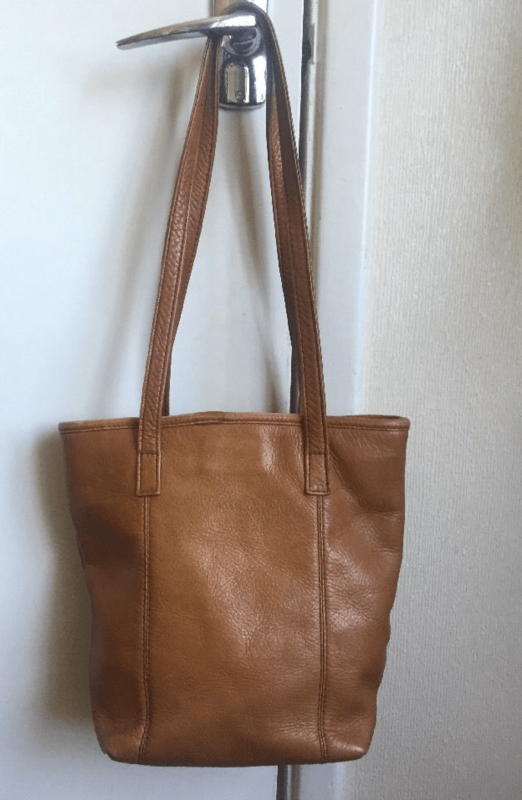 This leather bag, and many like it, are on eBay for under £8. Those handles could be unpicked and used on another bag. 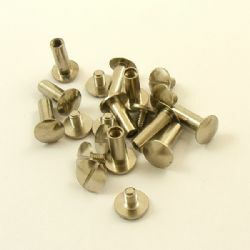 They could be sewn in place, screwed or riveted. The rest of the bag could be cannablised for it’s leather. 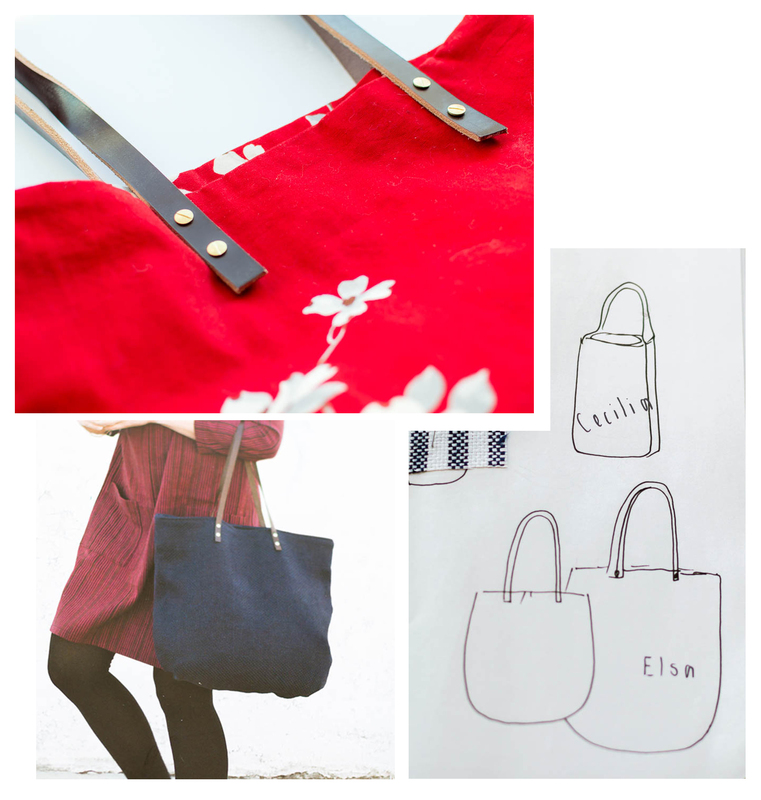 I’ve found some beautiful bags made with upcycled leather handles. 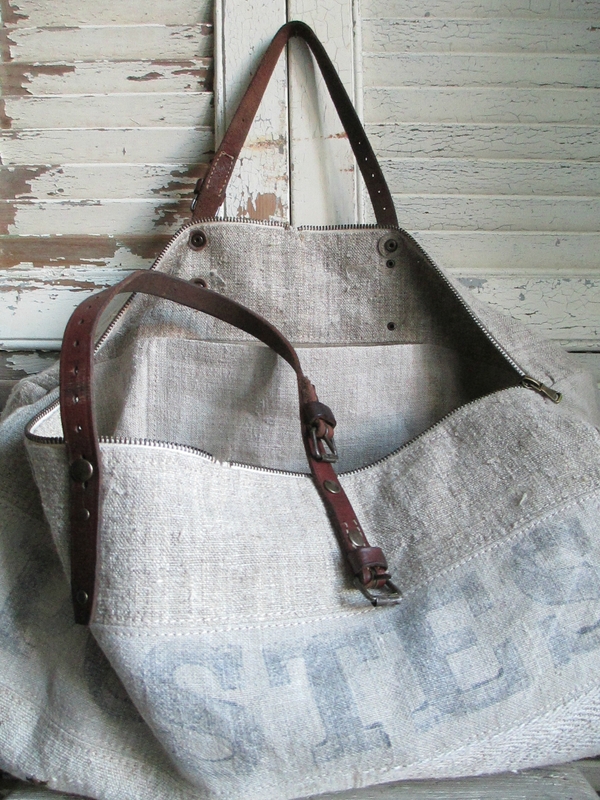 This one from Olde Green Cupboard costs almost the same amount as my bag hardware and uses a combination of upcycled leathers and canvas. 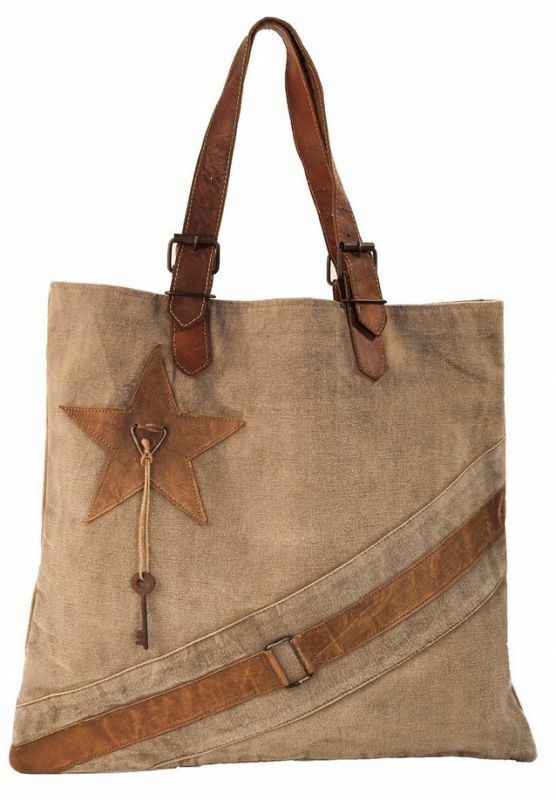 This French site also has many beautiful leather, linen and canvas upcycled bags. I find London charity shops crazy expensive, but leather belts usually go for under £5. They already have the holes in them, which saves some of the hassle too. From now on, I will be keeping my eyes peeled for leather goods that can be repurposed. I think the effort and cost were well worth it…I love this bag! The leather straps really make the look, IMO. They will wear better, too. Great suggestions for alternate leather sources. Thanks Kim. If you are following me for Me Made May, you can see I am getting a lot of use out of the bag. It is cheering up all my outfits so I’m pretty happy with it now.